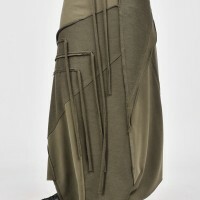 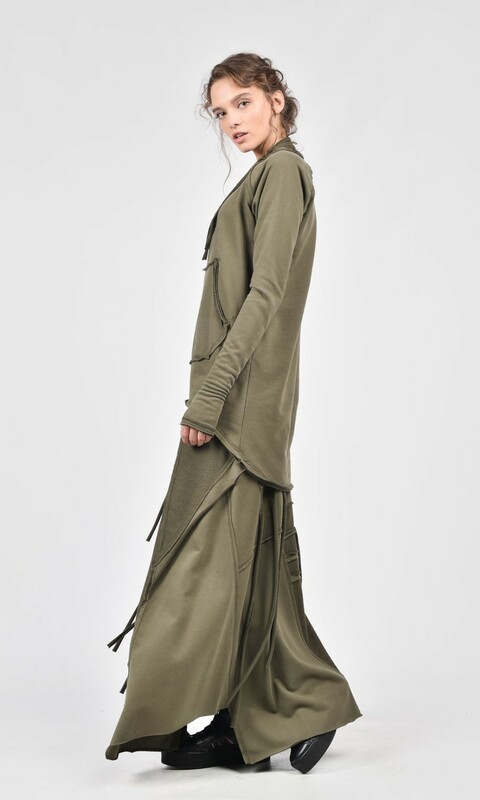 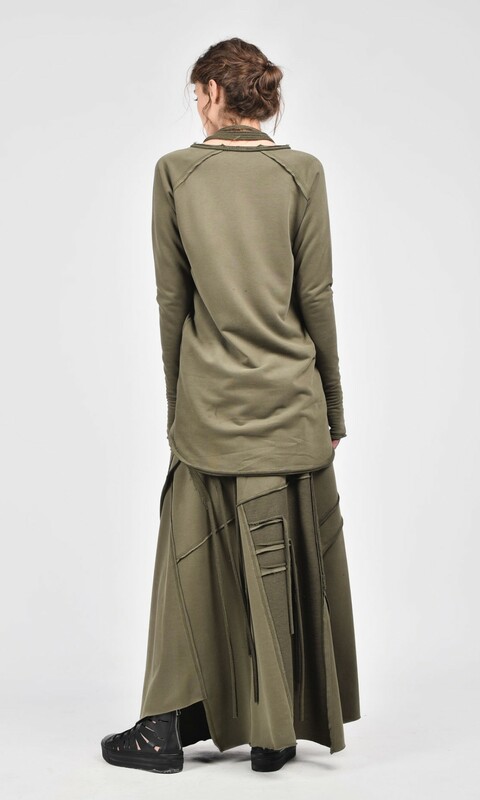 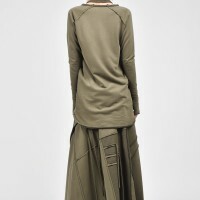 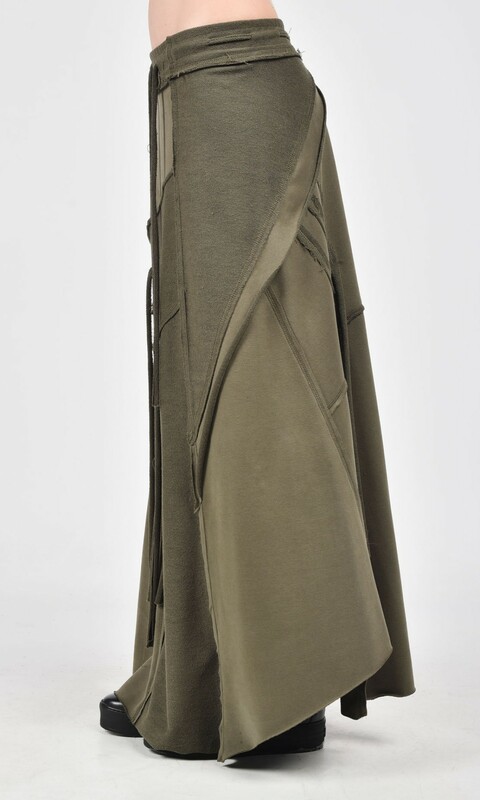 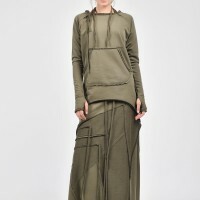 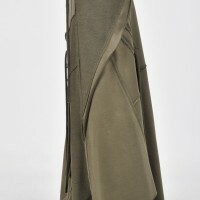 Extremely original and cutting edge floor length soft fabric cotton skirt. 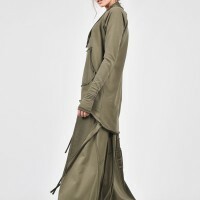 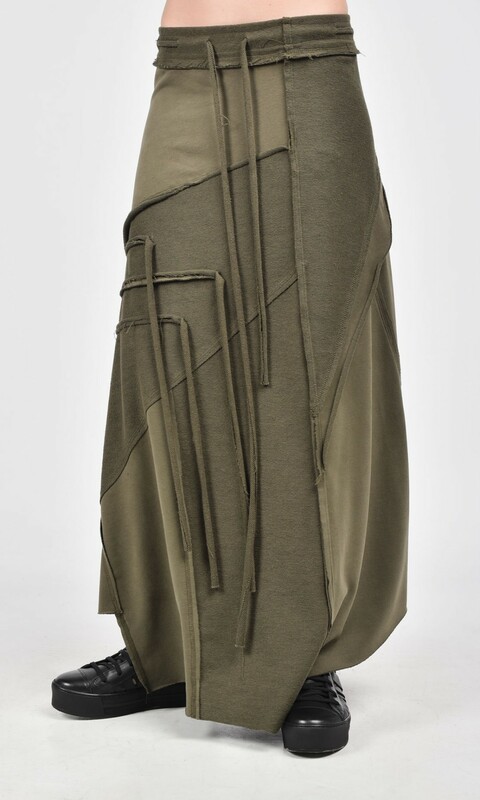 Featuring asymmetric length, a frayed flowing strings and coarse upturned crisscross stitch details, it like a decadent work of art that you can wear. 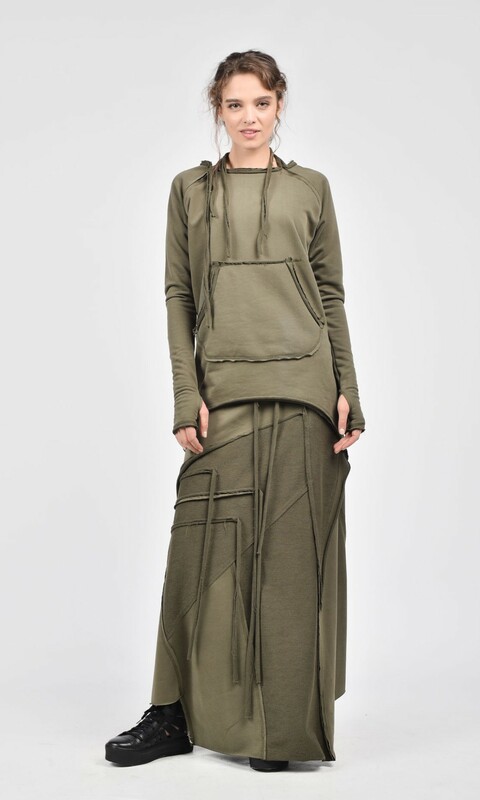 The perfect skirt to pair with sneakers for a casual sporty look and just as extravagant top.